Aromatherapy has become so much popular among people from nearly every region in this world. 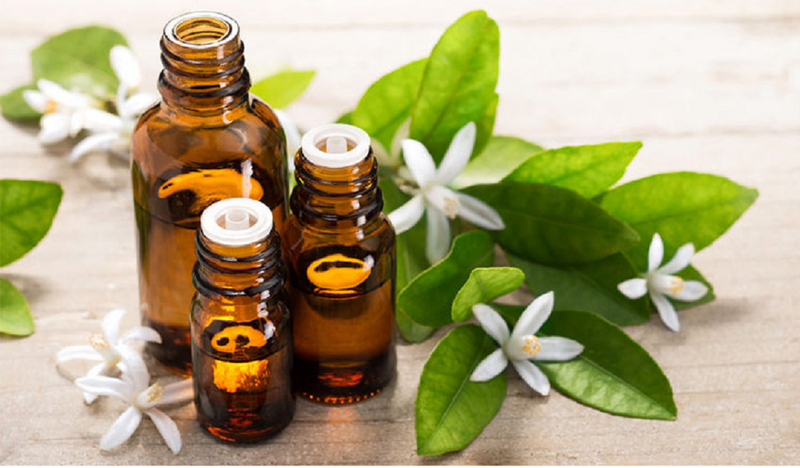 And we can say that this popularity is not just a marketing phenomenon rather it is for sure a thing that points to the numerous benefits that have been brought into the lives of the people which are using the aromatherapy way to treat their issues related to air and the surrounding environment. You can see kids, elderly and even adults and young people who are working actively need some sort of fresh atmosphere to stay healthy. But due to the fact that the surrounding environment cannot be controlled, there are pollutants, germs, microbes, and dust particles that are consistently building up in the environment. Whether it be a home, an office, a playland or your living room, the only way to discourage such agents is through proper substances which can diffuse the same way into the air as these contaminants have infused the air with their harmful effects. So, the aroma of the diffused essential oils that gets spread into the air and start dominating the overall contaminants, they clarify, purify the surrounding from harmful germs, improve the quality of the air and infuse the air with the beneficial substances that are healthy, nature-based and are beneficial for the overall well-being of the people living in that certain area. Tamas-a state of heavines and lethargy; when out of balance manifests in unhealthy behaviors-acting from sadness/ non-joy, consistently not wanting to leave bed/junk food diet etc. While not winter yet, the change of the season is definitely here. Fall is definitely my favorite time of year; gorgeous colors, cool weather, cozy sweaters and hot tea. What’s not to love? The only real bummer about fall is the potential for “winter blues,” or for some people, full on Seasonal Affective Disorder, or SAD, which effects millions of Americans, and people all over the world. Would you believe that what you eat might help relieve some of your symptoms? Like trading your polka dotted bikini for a parka every year, there are certain foods to toss with the changing of the seasons, and certain ones to embrace. Nature is really perfect, she knows best, and stocking up on thick, rich, hearty foods and brain boosting vitamins is the best thing you can do for your noggin this time of year. Sweet potatoes, leeks, onions, garlic, squash, pumpkin, kale, swiss chard, daikon radish — roast these babies up and have ‘em with brown rice or some millet, or puree them into a soup or stew. There is a reason that stuff like strawberries, blueberries, and grapes are not in farmer’s markets during the fall and winter — they are out of season! And why? Fruits have a cooling effect on the body, so it wouldn’t be the best choice for your brain and bod to be snacking on strawberries when there is snow on the ground. It can really help bring about balance when you eat with the seasons. Produce is always cheaper when its in season, too! Here are some big, but simple steps to take to ensure that you are being the best caretaker you can be for your body and delicate brain during this cold season! This amazing supplement is one of the most important shield against depression during the winter — even if you get outside a lot. The shortening of the days means less light, which equals less Vitamin D. Vitamin D is literally sunshine — it makes your bones, brain, and body happy, and your whole mood bright. When there is less sun exposure per day and your levels of Vitamin D go down, depression, along with lethargy, exhaustion, muscle/bone aches, and overall blech can take over. People can be low on Vitamin D and experience these symptoms all year, and never attribute it to their low levels of sun exposure. If you live in an urban area or big city, you need some Vitamin D love all year round. Do some research and safe self testing to see how much is right for you — anywhere from 400-1,500 IUs per day has been shown to be hugely effective. What to eat: Vitamin D is found in very little other than sunshine or supplement form, so go with a high quality supplement, and get outside!. Other sources include cod liver oil, and the flesh of fatty fish. Stay with me. There is a huge, huge misconception about good oils and fats in this country. Good fats (like poly and monounsaturated fats) lower LDL levels of cholesterol (the bad kind), raise levels of HDL (the good kind), and can help you lose weight in many cases! But overall, the most tragic consequence of this misconception is the underappreciation of what good fats can do for your brain. They are best buds, and if you have a particular propensity toward depression or anxiety, these fats can make a huge difference in the overall function of your brain. The typical american diet is very, very high in carbs, low on nutrient rich foods, low on good fat, and in many cases, it can also be high in bad, or saturated fats. These bad fats have the opposite, negative effect on the brain and body. What to eat: fatty fish (salmon, mackeral, sardines), Avocados, Walnuts, Almonds, Olive oil, and if you need some extra good fish oil lovin, my recommendation is Udo’s Oil, the Omega 3 with DHA. What to eat: Animal meat of any kind. Organic, hormone free, grass fed, and humanely raised is always best. Yellowfin tuna, cod, and many kinds of fish contain very high amounts of Vitamin B. Bell peppers, spinach, peanuts, dark leafy greens, potatoes, all excellent forms of B6, whole grains, beans, and nuts. Stock up on the good stuff! Hearty, rich, fabulous, easy to prepare, root vegetables are chock full of vitamins, nutrients, and wholesome goodness, especially for this time of year, when roots are naturally in season. Check out your local farmers market, and revel in the gorgeousness of the brightly colored squashes, pumpkins, radishes — its amazing! Roast them with olive oil, balsamic vinegar, salt and pepper, steam them and eat with a bit of coconut oil in place of butter, make them into soup. Folate and B-vitamin rich, dark leafy greens are just so good for your mood, brain and body. Folic acid has been shown in many studies to be an important element in combating depression and the blues. It also reduces fatigue, and overall lack of energy. Greens are beautiful and amazing. Juice them in smoothies and morning juices, sautee them in a little olive oil or coconut oil and garlic, have them raw in a salad. However you dress them up, just have them! What to eat: Kale, Swiss Chard, Spinach, Bok Choy, Dandelion greens, Romaine, Arugula. Do whatever strikes your fancy. Dance wildly to 5 Madonna or Lady Gaga songs in a row, sprint around the block a few times, do 100 jumping jacks in your house. Don’t over think it, just do it! So, so amazingly helpful for your brain, and your body — gets those good chemicals pumping. There is a very powerful book called “Your Body’s Many Cries for Water” by Fereydoon Batmanghelidj, that has some incredible insights on what thirst can take form of in the body — asthma, pain, and depression, among others. It is so important to drink your 8 daily glasses, just as important in the winter as it is in the summer. Because it gets cold, we tend to think hot tea, hot coffee, hot cider, and while those are lovely too, don’t forget about water. Dehydration can take on many forms, including brain dysfunction, sluggishness, depression, and lack of energy. And when you add naturally dehydrating caffeine to the mix, its not pretty. Carry around a water bottle, refill when you can, and get your daily dose of water love. You will definitely feel a marked difference. Tip: if you have some trouble with over eating, you may just be thirsty. Next time you feel hungry, drink a glass of water, wait a few minutes, and then see how you feel. I don’t know about you, and maybe I shouldn’t admit this, but bed is my favorite place in the world. I seek it for physical and emotional comfort, nurturing, warmth, and refuge. When it gets cold out I find myself especially incapable of managing to get out of it (although once I do I am good to go). But I can’t lie and say that there isn’t a day here or there when I pretty much don’t get out of bed. I find this to be ok, life is all about balance, right? However, when I find myself falling a bit too far out of that balance, as is the case lately with New York turning to Winter, I find it really helpful to keep my mat splayed out at all times(I overheard a dear friend mentioning this idea). It calls me to it as I find myself saying, “Hey, it’s right there” and sooner than later I find myself moving through (at least) a few poses. This helps to warm me back up and reset my fitness and health track if I haven’t practiced in a few days (plus, the calming benefits of course!). Not to mention, giving yourself the space to do just a few poses here and there will cure any headache, that awful feeling of a sleep or laying around too long hangover, the fear of heading outside for the chill it will bring, or the inability to maintain exercising/good eating habits. Plus, you’ll perk up faster than if you drank 2 espressos (with none of the anxiety or dependence that caffeine can sometimes bring). And, because of the energy just a few well-sequenced asana can produce, those few moments spent warming up my body usually call forth want for more movement; if I don’t end up doing a full sadhana or heading to class, I will usually end up dancing, taking a long walk (50-70 blocks), or going to the gym. From a sloth wrapped in my “pillow blanket” (as I call it) to hitting the gym and cleaning my apartment before I leave; all thanks to leaving out my mat and giving myself a chance to just move my body without expectation, for however long I may feel like it. Below I’ve written a nice mini sequence (about 20 minutes) to get the body moving, any unbalanced tamas in check, and your mind and body ready to have a productive and enjoyable day. ** I sometimes jump right into my down dog but that might not be best for everyone. And as always if it’s not in your practice or you are new to yoga, a teacher is highly recommended. I am lucky I got a photo of these babies before they were gobbled up by the boyfriend and myself. It was hard to restrain myself for those few moments, not gonna lie. They are as fabulous as they look. Salty, savory, crispy on the outside and soft on the inside, just like a great fry should be. They were unbelievably delicious, and took only 30 minutes to make. The secret to a crispy on the outside, soft on the inside fry? Soak the raw, cut potato in cold water! It was my first time trying that, and it does the trick beautifully. Just have a large bowl or small pot of cold water, and as you cut, drop the potato in the water. It de-starchifies the potato. Sweet potato is an amazing root vegetable, in season at the moment, and it packs some incredible nutritional punches. Super high in vitamin C (one cup of sweet potato is over half the recommended daily amount), general low on the glycemic index, so no blood sugar spikes, and rich in Vitamin A, so your skin will thank you for every bite. Get thee to your farmer’s market or to your health food store and bake away! Clean and scrub your potatoes; cut into fry pieces. Try to make them all as uniform as possible. As you cut them, drop them into the cold water. Once you are finished cutting, drop the potatoes into a colinder, and give them a rinse. Pat dry with a paper towel. Line a baking sheet with parchment paper, and spread your fry potatoes onto it, spacing them as uniformly as possible. Brush with your olive oil and with your balsamic vinegar. Once lubricated, generously apply spices and seasonings. Seriously, do not be shy. This totally took the fries to the next level last night. Pop the fries in the oven for 15 minutes. Take out after 15 minutes, and flip the fries. Bake for another 7-10 minutes — definitely no longer than 10 minutes! Enjoy! How often have you, or someone you know uttered the words (or something similar to): “I hate my birthday!”, “eugh birthdays are the worst, they make me depressed!”, “I have nothing to celebrate this year!”, “I’m getting old! I don’t want to celebrate!”, “No no party no nothing! We’re not celebrating my birthday!” etc etc etc. But over the past few years I have been holding my birthday and all the inherent joy with in it sacred. Think of the word: birthday. The day you were given LIFE. The day you BECOME life. To celebrate a birthday is to celebrate the self, and love for the self. It is a chance to look at the past year of your life, and celebrate accomplishments, reflect on relationships, your growth (or lack thereof) and what needs to change. Our birthday is our true new year, and it deserves honor. When we shirk our birthday we are ungracious to the universe. When we shirk our birthday we are ungracious to life. In the face of great tragedy, something we are all too familiar with in the wake of Hurricane Sandy (blessed be and divine light to all survivors and victims; may Ganesha remove your obstacles and may Lakshmi bring you fresh and greater abundance), it is extra important to reflect on the beauty, vibrancy, mystery, and joy that is LIFE. No matter what circumstance you find yourself in on your most sacred day it is vital to always celebrate it, and to decide what it is you want from your next year. It is a juicy, ripe moment for dhyana. I do not suggest you have to dance wildly on a bar or have a party to validate your life, and the joy it brings others and the joy it should bring yourself. Have a quiet dinner, have a bubble bath, buy yourself a special gift—perhaps of mala beads, set with the intention of a new and mindful year full of joy and self empowerment. CELEBRATE LIFE. CELEBRATE YOUR LIFE! Whatever ritual feels appropriate for you, find it and treat it mindfully and with respect. This is the day you were BORN. Do not take your life for granted, your rights, your freedom,your personal power, your ability to manifest and create whatever it is you want for yourself! Celebrating your birthday is the greatest act of self love and recognition. It is not something to shrink away from, or undermine. It is the marking of the day you were brought into the world, this plane of consciousness, into the lives of your family and friends. It’s the day your destiny was written, your fate was laid before you, and your dharma was decided. It is a day for great celebration, thanks, and appreciation. Because of a ridiculous media we are afraid to age, running for creams and feeling ourselves saddened by an ever increasing number. Instead inhale all the beauty that surrounds you! Do not worry about lines on your face or marital status, bank account or “criteria” of “success”. Each year is a new year for change, transformation, growth, compassion and peace. The deepness of your laugh lines, the crinkles that form around our eyes, these reflect the story of your life! The experiences that have brought us the life we are living, the people we are. High school, college, making friends and perhaps growing apart from each other, or becoming closer with each passing moment; love and broken hearts, parties, loneliness, depression, jubilation, births and deaths. LIFE. Please always and today respect the life you have, the joy you bring and the joy you can create. You have been blessed with a miracle; you are a miracle. No matter where you may find yourself as another birthday comes your life, your heart, and your journey is always something to be celebrated. About a year or two into my yoga path, I woke up one morning and realized I had lost about 40 to 50 pounds. Not only that, but I have maintained that weight loss (95%) effortlessly and (100%) naturally. I didn’t lose weight because I felt unattractive, or that I had a problem. In fact, I didn’t start yoga to lose weight. I started yoga because my mind was a mess, and I needed something to bring relief. The weight fell off because I was not concentrating on how much I disliked my thighs or having to fit into a dress. Instead I was concentrating on cultivating love and peace for myself, and inadvertently ended up learning how to communicate deeply with my body. I eat for pleasure and for nourishment, I eat what my body asks me to. Below are 10 ideas that I always keep in mind to maintain my healthy relationship with food. Learn body communication. This can come from yoga practice, but it doesn’t have to. Just start to talk to your stomach. Acknowledge when you are full, acknowledge when you are hungry. When you are hungry, eat; when you are full, stop. I know this sounds easier said than done but like everything, it takes practice. Soon, when your belly is full you’ll be so acutely aware your stomach’s status, have no qualms about not having dessert. The foods we crave are always available. Remember that whatever you may be craving will always be available to you! If you are full, why have something that you won’t even taste or enjoy? You can always have cake, it is not necessary to have it when you know you’ve had enough. When you are actually hungry, junk food, all food tastes 1000 times better. Eat for the right reasons. When we eat out of boredom or emotionally, we are looking for satisfaction that cannot be achieved with food. So one, we give into the craving and want of the mind, only to (after we’ve finished our treat) realize we haven’t found what we were seeking. We are not satisfied, we just want more, and then if we do choose to indulge many of us beat ourselves up. Instead try to drink something healthy, like water or tea, and find a distracting activity. You may be surprised how quickly you forget about the kitchen. Do not use food as comfort or reward. When we correlate unhealthy food with a bad day or a reason to celebrate we are doing ourselves a huge disservice. If you had a bad day meditate, go to yoga, ask a friend to drinks, take a bubble bath. Ice cream has nothing to do with sadness or experiencing said sadness. If you had a great day or have something to celebrate, celebrate properly! Plan a dinner with friends, drink champagne- because then it’s about socializing, the enjoyment of food and the community it builds, not saying “I can have this because I did something good”. PAUSE!! The concept of the pause is impactful in all areas of our lives; as far as food is concerned it is very powerful. 1. The other day I was not hungry and at my friend’s house, she ordered probably the most delicious pizza I have ever seen. I sat next to her as she opened it, the kitchen full of others ready to attack, and my first thought was GET A PLATE! My second thought was take a pause , so I did. My body asked for hot water with lemon, and that’s what I had. 2. The second aspect of the pause comes into play is when there is deep hunger. Finally, the food is on the table and we jump into it like we haven’t eaten…ohhh ever. When we do this, we don’t even taste what we’re eating. When it’s time to eat take the time arrange your plate (very important step! ), make sure you’re comfortable and take just one deep breath. You’ll enjoy your food more, and you’ll feel like you’ve actually eaten. This is especially true of junk food. Do not deprive. Sometimes I will think about something unhealthy for weeks before I actually eat it. Not because I’m trying to deny myself, but because it’s not what my body wants. I never eat unhealthy until my body is ready; because that’s the only time it tastes good. This is another reason opening body communication is so vital (and I believe one of the main reasons to begin a yoga practice) when you want a cheeseburger, you know you want it. When you want kale, you know you want it. I eat what my body tells me too, and I eat everything. I never feel deprived. Get back on track. If you gain weight, just get back on track. When I got home from New Orleans I had gained weight. When I realized this I didn’t panic, I didn’t place myself on a diet, I didn’t restrict my food intake, and I didn’t say I need to lose 10 pounds. I simply allowed myself to get back on track. That means eating what my body was asking for (which was greens and lean protein, in an effort to come back into balance) and providing the exercise I, my body, craved. Find balance. You have control, not the food. I’ve noticed when people have a night of nachos and beer, they often wake up the next morning to bacon, egg, and cheese. Don’t tell yourself the narrative of “I’ve been so bad, might as well continue!” instead realize there’s no such thing as being “bad” when it comes to food, just unbalanced, and instead take the moment to make a healthy choice. Have an apple, have a delicious smoothie, move on. When we stop thinking, and start doing without regarding how we look or a number on scale our relationship with food and weight becomes much easier because we learn how to be balanced. Start cooking!! Ordering out, no matter how healthy the restaurant, just does not grant the same opportunities. One of my greatest discoveries was the idea that I can cook things that taste like junk food (this is very important when you are changing your eating habits) but are actually very healthy. Make quinoa with turkey sausage or roast beef, onions, garlic and melty cheese (whatever kind you like) and you’ll forget about the cheese steak. Exercise! I never thought I’d crave going to the gym, I almost failed high school because of a class by the same name. But once you start conversing with your body, it almost becomes impossible NOT to exercise. Experiment and find something that works for you. When we provide our body with physical activity it is much easier to make the proper eating choices. Health habits produce more healthy habits! This all takes patience, practice and honoring that it is not about how you look. As soon as you start putting food and exercise in the context of looks, it will become difficult. This is about how you feel, taking care of yourself, and loving your body as the self. This is not a list of tips to get ready for a bikini (there is no such thing, any body is ready for a bikini—all bodies should feel the warmth of the sun on every inch of skin possible) this is about being healthy, finding balance, and being kind to yourself. This is about your happiness and health, nothing more-nothing less. Something very, very beautiful and divine led me to this recipe.I’ve never roasted mushrooms before, I haven’t even had mushrooms in my fridge for as long as I can remember, but a little miracle in the back of my mind knew this would be a great idea, and that it was exactly what I had been craving that evening. Don’t you love it when that happens? I cannot even begin to tell you how succulent, savory, and electrifyingly mouth-watering these mushrooms are. I couldn’t even believe what was going on when I was eating them. The entire process took 20 minutes, and couldn’t have been easier. I had these with sauteed kale, and lemon quinoa with kidney beans. Delish! These roasted mushrooms are also the veggie equivalent of steak, so if you are craving some red meat but want to stay vegan, this is is a fantastic substitute. Juicy and melt in your mouth.Also, lets not discount the health magic of mushrooms — super high in potassium (about as much as one medium banana! ), anti viral, good for your skin, gut, and even may be beneficial with HIV (oyster mushrooms) and cancer patients (reishi, among others). There’s no good reason to keep these babies off your plate! Preheat oven to 450 degrees with the rack in the middle. Wash mushrooms thoroughly, pat dry. Lay in a baking sheet. Chop onion and garlic, spread over the mushrooms. Brush the olive oil and balsamic vinegar over the mushrooms and give the pan a good shake to ensure that everything has a nice coating. Salt and pepper your mushrooms really well. Pop them in the oven and bake for 15-20 minutes, giving them an occasional stir along the way.Once mushrooms are out of the oven, squeeze the juice of half a lemon onto the mushrooms and sprinkle with the fresh parley. Serve immediately with brown rice, quinoa, some sauteed kale — or with steak! Whatever your heart desires. The other morning, I woke up feeling very depressed and low. Laying in bed, I contemplated how I was going to pull myself through the day ahead. I felt my familiar patterning rise up, and the thoughts started to flood in. Panic about why I was depressed, how long it would last, and what I should do for it. I felt scared to move, as though I would irrevocably shift something in myself for the worst. My mind flashed through scenarios of calling out of work, laying in bed all day, just to make myself feel better. The feeling was a true emptiness, with a hollow feeling in my chest. And then I felt a shift in my perception that happened so quickly it felt like light speed. Once I noticed and named the feeling of a hole in my chest, it took me out of my head and into my body. My depression was living in that hollow, in that place in my body. I started scanning, breathing deeply, and acting as my own private investigator without locking into my thoughts (which are never necessarily the truth), and without locking into story (“there’s something wrong with me”). Is any of this a familiar scenario for you? We can reverse what seems like a tidal wave of emotion by taking a sacred pause, and removing ourselves from our spiraling thought patterns and the “story” of whatever we are going through in the present moment. Regardless of whether it is anger, fear, depression, or any other unpleasant feeling, we can begin to respond wisely and most effectively with this shift from our thoughts to our bodies. Emotions are alive; they live in our cells, take root in our physical bodies, and the information to decode our shifts in mood can be found there, not in our thoughts. As soon as I made this shift the other morning and began to intuitively investigate what I was feeling, it became clear to me that this depression was not stemming from any glaring primary life issue. In other words, there were no secret skeletons lurking in my closet that were subconsciously causing me to have this dull feeling. Once that had been established, I remembered that I had been eating pretty irresponsibly over the last few days, on top of not having done any physical movement recently, or having spent time outside. As I am sensitive to these things, especially because I have hypoglycemia, I felt very relieved to have come to some sort of active conclusion! I could do something about this! This is the gorgeous price of taking the effort to bounce out of our thoughts, and into our gut — we get wise, useful answers at a much quicker rate than we would if we allowed ourselves to hop on the wild brain express train. My wise investigator wrote a prescription for fresh fruits and veg, tons of water, a hefty dose of Vitamin D, and moving my body around — and I filled it post hast. Two hours later, I had a total 180 in my mood that was so extreme it was surprising. I was teeming with energy and joy. I had made a beautiful smoothie, took 5000 ius of Vitamin D, did some yoga, and got outside in the unseasonably warm sunshine for a long time. The slump I was feeling truly was all nutritionally activated. And I don’t know if I ever would have assumed that had I not dug deep and gotten present with myself that morning. I believe that I would have spiraled down with my thoughts and assumed that my depression was here to stay. Of course, sometimes unlocking our negative emotions requires more than just some fresh produce and sunshine. Sometimes we learn what we need to do in pieces, rather than in one big burst, and there may be thorny patches along the way. And things can change rapidly. I woke up this morning with a similar feeling to the other day, albeit much milder, and upon intuitively investigating, found that I was feeling very fearful about two areas in my life, which I handled with a totally different approach today — filled a totally new prescription. When you wake up with a negative thought, or feeling in your body — pause. Take a sacred pause, breathe deeply, and become objective and compassionate with yourself. “I recognize that I am feeling some real fear here,” or “I see that I am suffering”. Really be there for yourself, name what is true. Go into your body. Try to breathe and melt into your care, and then do your best Sherlock Holmes: Where is the fear, or sadness, or anger? Does it live in the bones around your eyebrows and eyes? Does it live in your belly? In your chest? Go into the hollow ache, or the pain, or the tension, and continue to name what is true. Continue to investigate. What does it feel like to see the world through that ache? What lives there? Are you unhappy with an aspect of your life? A relationship? Your job? Lack thereof? What can you do for yourself at this moment? Can you send love and compassion to yourself? Can you begin to fill your prescription? Will it take time, or is it something that can bring relief within hours, or even minutes. There are powerful messages in what seem like our darkest corners, and our most fearful places can hold the most light. We can begin to feel empowered, and such a wonderful sense of pride when we show up for ourselves in this way — anxiety and depression can be so disempowering, and by doing this, we are taking back our power. Doing this kind of checking in with ourselves promotes calm, peace, self care, self care, and self confidence, and best of all, it usually means that this icky feelings dont stick around as often as they might have before. I was so proud of myself both of those mornings, because I did not choose to assume that the mental unpleasantness I was feeling was permanent or random. It doesn’t have to be! Begin to develop a gentle practice of intuitively, curiously, and objectively diving under the waves, and feel your life begin to change.